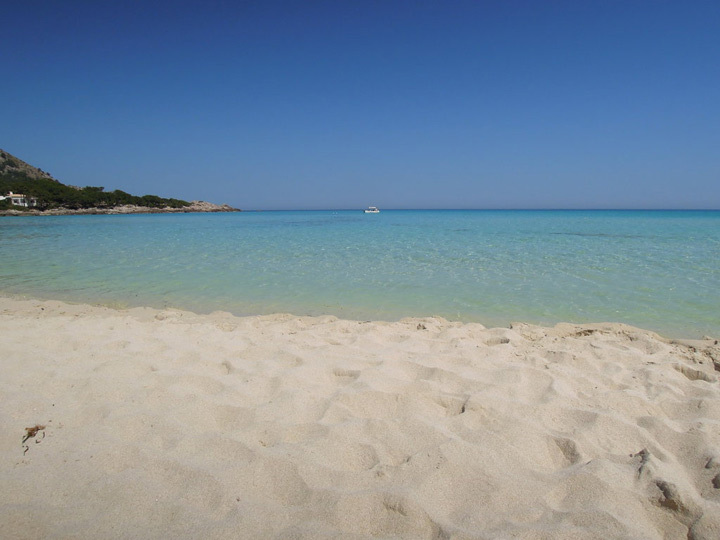 Cala Agulla, in the municipality of Capdepera, is a marvellous beach with a beauty scenary. It retains its natural state. This cove is located between pine forests and dunes that reach the sea. It was declared natural area of special interest in 1991. This fact has made possible to conservate all its pure and natural essence. This beach is perfect for those who love swimming and practicing water sports . Cala Agulla Beach has the peculiarity of increasing or decreasing size depending on how the wind blows. If the wind blows from the west, the currents make the beach grow, if it blows from the Levant, the opposite happens.